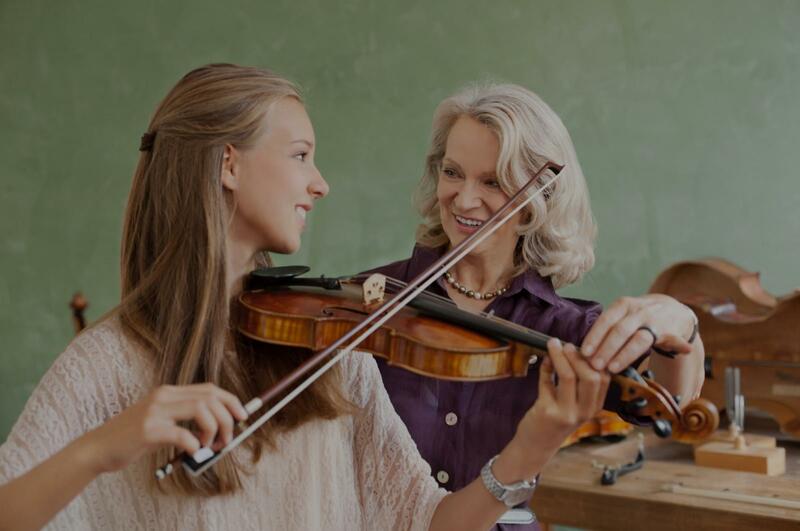 Find the perfect teacher or instructor in Mariposa for private violin lessons in your home or in their studio. Check out some of our most popular teachers near Mariposa including Los Angeles, Long Beach, Irvine, Burbank and Pasadena. Curriculum - I will primarily be using the books in the Suzuki Violin School: Violin Part, Vol. 1 - Vol. 4, A Tune A Day: String Method, and A Tune and Day: Beginning Scales. For theory, I use Alfred's Essentials of Music Theory. For children, expect lots of interactive learning games, fun theory riddles and worksheets! After students have advanced past basic violin skills, I may bring in supplemental material - pieces from pop culture or Disney tunes that the students are interested in. Theory will be taught in class as it relates to the piece we are working on, and I will supply additional worksheets when necessary. I am fluent in Mandarin Chinese and English and can speak some Taiwanese, and enjoy teaching students of all ages. With over 10 years of teaching experience, I am able to tailor the speed, curriculum and style of each lesson to the individual. By default, I will teach music in the Suzuki Violin series, but I am more than happy to arrange or find violin parts for songs you are interested in! at incorporating learning games to make performance fun. Music theory can be boring, so I tie in music theory as it relates to the pieces we are currently learning, and make learning it a game. I have over 10 years of experience teaching kids Pre-K – 6th grade, so I am very patient, nurturing and kind, but strict when I need to be. My family moved around a lot during my childhood, but music remained the one constant in my life. Playing the violin gives me a lot of joy and I hope to pass on the joy of music to my students! Curriculum - I will primarily be using the books in the. Suzuki Violin School: Violin Part, Vol. 1 - Vol. 4, A Tune A Day: String Method, and A Tune and Day: Beginning Scales. For theory, I use Alfred's Essentials of Music Theory. It is the students responsibility to purchase and bring their music to class. After students have advanced past basic violin skills, I may bring in supplemental material - pieces from pop culture or Disney tunes that students are interested in. Theory will be taught in class as it relates to the piece we are working on, and I will supply additional worksheets when necessary. After students have advanced past the Suzuki Violin School, Violin Part, Volume 10, I may introduce violin concertos by Mendelssohn and Mozart. Because performance is an integral part to the Suzuki method, I encourage my students to perform once a year at our annual recital. Shy students, never fear! I will work with you extensively to make your piece beautiful. If any students are not comfortable with performing publicly, they can decide to opt out of the annual recital. In studio lessons will be held at my home in the living room, with adequate seating for parents. I provide a music stand, and a keyboard and tuner for tuning. I encourage parents to bring a video or audio recorder to record lessons, so that students may review them during the week. Of course, students should bring their violin, bow, rosin, and assigned pieces to class. When traveling to your home, I will bring my own violin, bow, rosin, and books. I expect the student to provide music stands, their assigned pieces, and a well lit area for lessons. I am willing to travel up to a five mile radius from my home studio for an additional fee. Sarah has been a great teacher since the beginning. She is super friendly and patient when it comes to teaching and always makes each lesson fun and exciting whether it's learning proper instrument positioning or learning more advanced techniques. I would definitely recommend Sarah to anyone looking to learn to play violin or trying to improved their violin skills. Sarah is a wonderful teacher. She really helped me to understand and respect the art of playing Violin. The Short Version: I totally and wholeheartedly recommend Sara for anybody at any age considering studying Violin. The Long Version: As a beginner adult student and a child care provider, I feel I have a very unique perspective into Sara's teaching style. Studying under Sara has been absolutely wonderful and has really fueled my progress with the violin. Within five minutes of the first lesson you can tell how excited she is to be teaching you something she is so clearly passionate about. She's positive and patient in her instruction and in learning from her, you get the feeling she wants you to be your best so that one day you could even play alongside her. That, along with her professionalism, sincerity and respect makes her truly valuable as a teacher. However, as good as she is with adults, I think she's even better with children. I provide private child care for a living (which is just a fancy way of saying I'm a nanny). I work with children ranging from 20 months to 14 years old and I'm very good at my job. In my experience, I've found that you can tell that some people, for some reason, are just good with kids. It requires a certain balance of patience, enthusiasm and authority and it all has to seem easy. Sara possesses these qualities in abundance. The violin can seem like a complicated instrument to a beginner and it can be frustrating (believe me, I know), but Sara has a knack for breaking things down in a way your child will understand and, more importantly, have fun doing it. Anna is a very knowledgeable and experienced teacher. She is always very well organized for each lesson. And of course she is always pleasant and happy to see you every week. She is a fantastic teacher. I have 15+ years of teaching experience and committed to building a lasting relationship between my students and their love of music. My philosophy for violin lessons is to prepare students to play in a group by developing their technique, musicality, and ear-training skills. In my experience, students are more engaged and have more fun playing with others. I will be your first duet partner! Contact me now to setup a lesson. r Hall, and Alice Tully Hall on many occasions with world renowned artists including Lukas Foss, Leon Botstein, Quincy Jones, Michael Kamen, Clark Terry, David Sanborn, Shawn Stockman, and Richard Drefuss. In his spare time, he enjoys cooking and traveling with his wife. Great teacher! Very patient and has great knowledge of music. Mr. Chen is very patient and professional. I am a creative thinker and problem solver with empathetic, reliable listening and communication skills, great passion and patience in teaching. I received the recital Diploma ‘Associate Trinity College London’ (ATCL) in violin with distinction in the age of 15. I am currently pursuing my bachelor degree in Violin Performance and Music Education in Azusa Pacific University. Ryan Cheung is a classical violinist from Hong Kong and currently pursuing his bachelor degree in Violin Performance and Music Education at Azusa Pacific University. Ryan began studying piano at the age of five and started receiving violin lessons at the age of six. In 2012, Ryan received the recital Diploma ‘Associate Trinity College London’ (ATCL) in violin with distinction. He was active in the Hong Kong School Music Festival while he was growing up in Hong Kong, and he received a 2nd place and a 3rd place in separated years. He joined various ensembles back in Secondary school, such the string orchestra, symphony orchestra, multiple choral groups and had the honor to represent the school and Hong Kong to compete in the World choir games in 2014 and received a third place in the open competition. f Alex Russell. He has been playing in the Azusa Pacific Symphony Orchestra since 2015 and played for the University Choir and Orchestra for two years. Ryan is currently active in the studio orchestra and serving as the assistant section leader in APU Chamber Singers. Ryan plays in different occasions, such as weddings, APU school events, or recitals, and collaborate with different musicians, such asL.A. based pianist J. Michael O’Neal. Uh Ryan is great. Been doing it on my own for 3 months and can scale and vibrato but knew I needed hands on help. Within just the first two classes he made wonderful critique adjustemnts that caused immediate results. Excited for more. Today was my third lesson with Ryan. He's easy to follow, and he's patient with me which is great. He's allowing me to go at my own speed, and we are moving right along. He doesn't push, and he's encouraging which helps keep me motivated. He's funny and we get along just great. He played a little for me at my last session at my request, and it brought me to tears. He plays beautifully! I look forward to my sessions. My teacher Ryan was very patient. He cared about me and about the speed at which I can learn. Ryan was thorough in his instruction and gave me homework. I am so happy to feel I can learn the violin. Thank you Ryan! I have trained in violin since the age of three. I began at age three through learning the Suzuki method and have performed at renowned venues at different places in the world. I can teach beginner through advanced. I strive to encourage my students to reach their full potential. I have a Bachelor's Degree (Hons.) in Music performance, history and composition from the University of Southampton, in England. I have played the violin since the age of three and am adept to teach all levels in this instrument. I have played the piano and voice from aged 10. I am patient, calm and strive to help my students reach their full potential. I have taught in three different music school settings over the last several years. I teach primarily beginners and intermediates in piano and vocals, and have prepared students for ABRSM Examinations and recitals. "Super helpful, taught me really well. Always used lesson time effectively, and really made me work hard." Los Angeles, CA teacher: Hana B.
l years. I have seen a tremendous improvement in both my children since they started taking lessons with her. She has complete in-depth knowledge of music that she strives to share with her students. Her teaching style has been extremely helpful and effective. She adapts her teaching method to suit each individual in order to meet the needs of students and objectives to be achieved. So her lessons have been a tremendous help to develop my children's techniques, performance skills, musical knowledge, and confidence. Also she is an inspiring and encouraging teacher who really cares about her students and has great enthusiasm for teaching. I definitely recommend her to anyone without hesitation!!!" "Artem is an excellent teacher. He provides the perfect balance of explanations, demonstrations and expectations for at-home practice. Thank you so much!" Los Angeles, CA teacher: Artem K.
"Very informative, positive, and patient teacher." Los Angeles, CA teacher: Kristapor N.
about contemporary music or Disney/Star Wars, he picks up his violin and starts playing them. And is more than willing to break from tradition to teach more pop-orchestra music. I would recommend Nick as a teacher to any violin student looking to begin or improve current skill, just don't ask about Paganini that is a scary road which he is teaching me to navigate one etude at a time!" h how to help me. She also came up with very fun ways to keep me practicing. She worked very well with me as an adult but I've also seen her teach very young children and her patience and creative teaching shines with the young ones as well! If you're looking for a personable, fun teacher that inspires, Megan is the teacher for you." Los Angeles, CA teacher: Megan M.
"Very impressed. It's a wonderful experience to have online lesson with Ms. Tasha." Los Angeles, CA teacher: Tasha M.
ad we found Nick on here. We have been coming to Nick's home studio for about a year now. Nick keeps our son engaged and continually interested in practicing during his lessons. He's patient, sometimes funny when our son needs a laugh, and ensures our son stays on task, as he can be a handful sometimes. We would whole-heartedly recommend Nick as a violin teacher." Is Learning With Drum Software Effective?